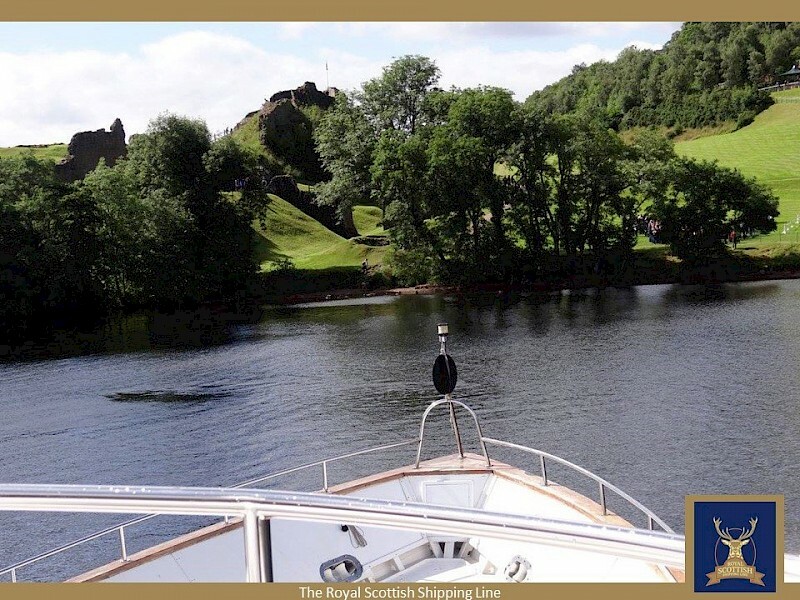 Spirit of Fortitude is one of the largest vessels to be able to transit the Caledonian Canal, watch in awe as she squeezes through the engineering marvel that is this Thomas Telford canal in this interesting and unique six night cruise, with two options – either routing North from Oban to Inverness or routing South from Inverness to Oban. 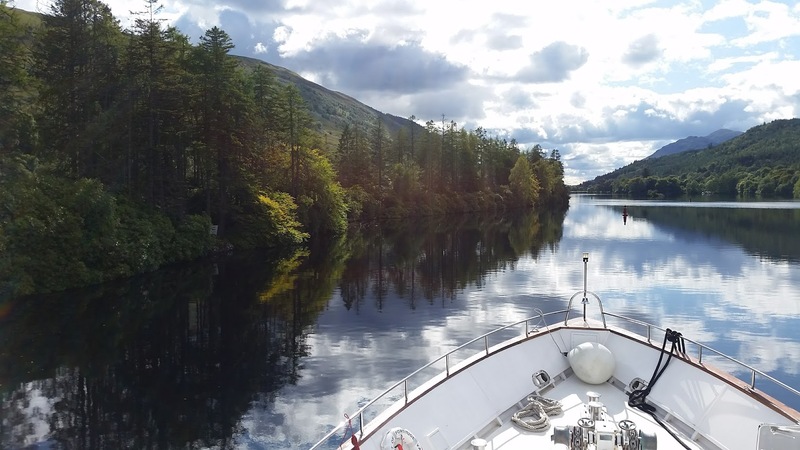 This voyage encompasses scenes of murders, monsters, castles, lochs and some of the most stunning landscapes you could ever wish to see. 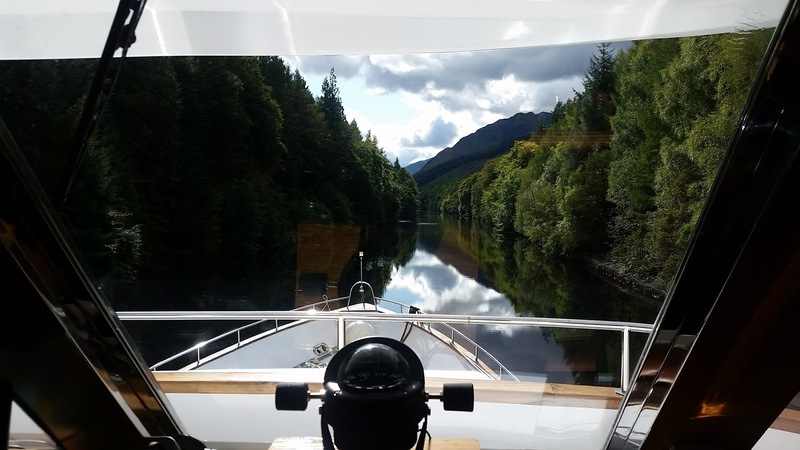 On the North bound route starting from Oban, this journey encompasses the beautiful sea loch of Loch Linnhe, takes in Loch Leven at the foot of Glencoe, and then leads into Loch Ness through the Great Glen after entering the canal at Corpach. 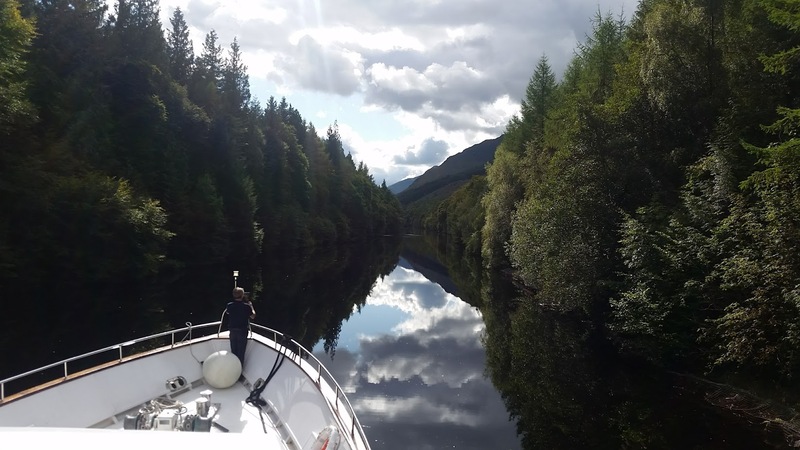 Following the sixty miles of the Caledonian Canal with its perfectly engineered locks, there is something for everyone on this cruise from exploration activities, with cycling & canoeing or a cable car up the side of Aonach Mor to para gliding, to visits to ancient monuments and numerous sites of historical interest, gardens and castles, or sitting back soaking up the wildlife and stunning scenery created by the Great Glen Fault that runs through Loch Linnhe and the Firth of Lorne and the great glen to Inverness. 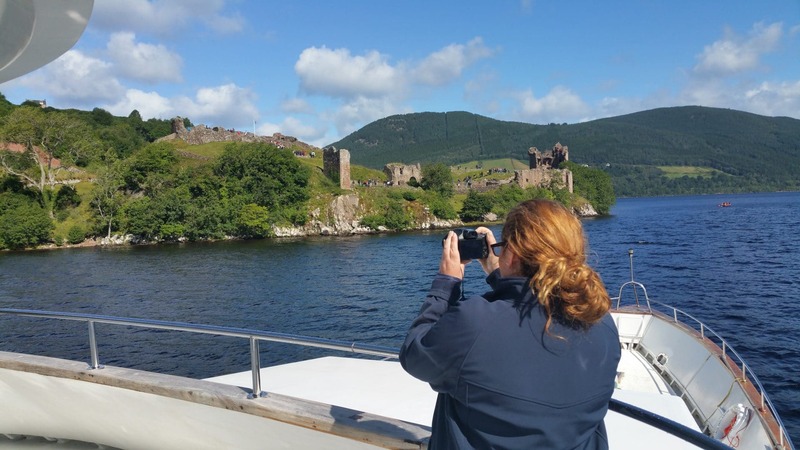 Keep an eye out for that rare glimpse of the Loch Ness Monster on Loch Ness! Set in a natural bay it is largely protected from wilder weather and has some beautiful seaside shops to visit. At the top of the hill behind the bay sits McCaig’s Tower or the Folly as it is better known. Built in 1902, McCaig built the colosseum style structure as a lasting testament to his family and also to provide work for the local tradesmen. Despite it being a steep walk to the top, the views are spectacular. Oban also boasts a cathedral, castle and a golf course and has a rich culture in traditional Scottish music and this is evident with its many festivals. Here fresh seafood is a must, it is literally from sea to plate and is served up beautifully by our on-board chef. 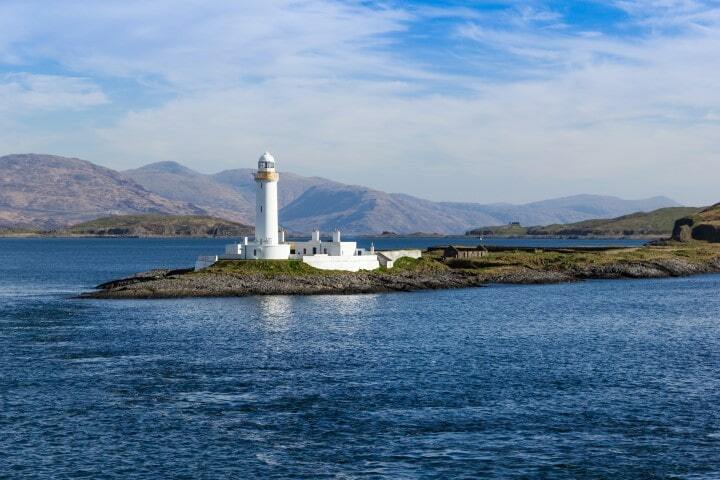 At the entrance to the Sound of Mull sits Eilean Musdale and the lighthouse that bears her name. Built in 1833 by Robert Stevenson – the grandfather of the acclaimed writer Robert Louis Stevenson , the lighthouse replaced a tall standing stone that had sat there for centuries. 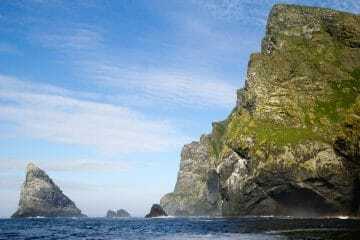 Just southwest is Lady’s Rock, where Lachlan Maclean left his wife to die in 1527. Having decided to murder her, he rowed the unfortunate Lady Catherine out to the island to leave her to die. 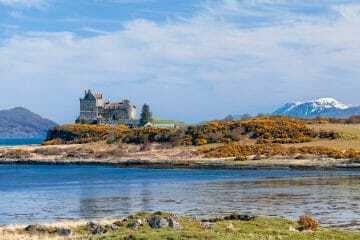 The very morning after, he looked out from his home at Duart Castle and seeing no sign of life and assuming that she was dead – he sent a message to his deceased wife’s brother the Earl of Argyll at Inveraray Castle – saying he was bringing her home to be buried. Upon arrival he was met by not just the Earl, but Lady Catherine as well after she had been picked up by a passing boat in the night. Poor old Lachlan had to endure a meal in the dining hall before fleeing in the night whilst all those concerned made no mention of the situation! A mere 12 miles long, Lismore is home to around 160 people and Gaelic is often heard as you wander throughout the island. The name Lismore derives from the Gaelic lios- mór meaning Great Garden aptly named for its abundant wildflowers that serve to dress the habitat of its many native birds. Over 300 different types of plant are known to grow on the island making this one of the most interesting isles for those botanists among us. For the bird lovers -buzzards, herons and skylarks are frequently seen in the skies and grassland around. The island is also home to many archaeological sites including Iron Age duns and Bronze Age cairns. The Pictish broch’s at Balnagown Croft are said to be some of the best preserved in the country and Neolithic artefacts dating from 3500BC have also been found. More recent ruins can be found at Castle Coeffin – a ruined 13th century hall house which is said to be haunted by a Viking princess and there are also the remains of Archadun Castle. This little Isle punches above its weight. Although just one loch, upstream of the Corran it is traditionally known as the black pool and below the salty pool. The only sea loch along the Great Glen Fault it is the place where many of the other lochs feed into it along its 31-mile stretch. 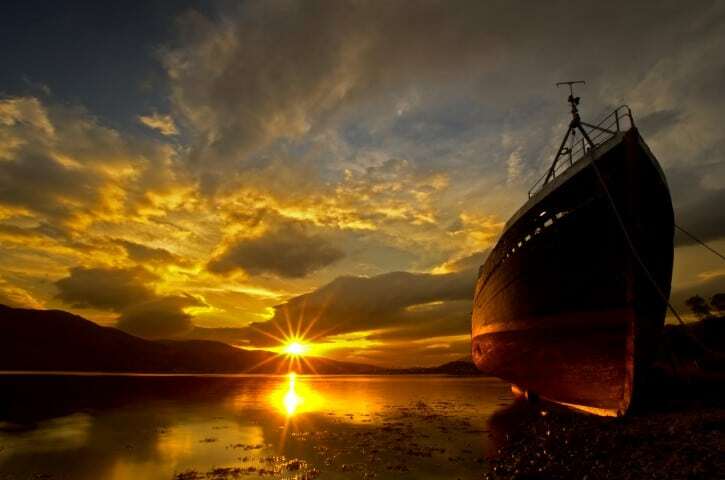 The Great Glen Fault cuts through Scotland from the west to north east all the way past Shetland and beyond/ Loch Linnhe is home to the iconic Castle Stalker as well as Seal Island. 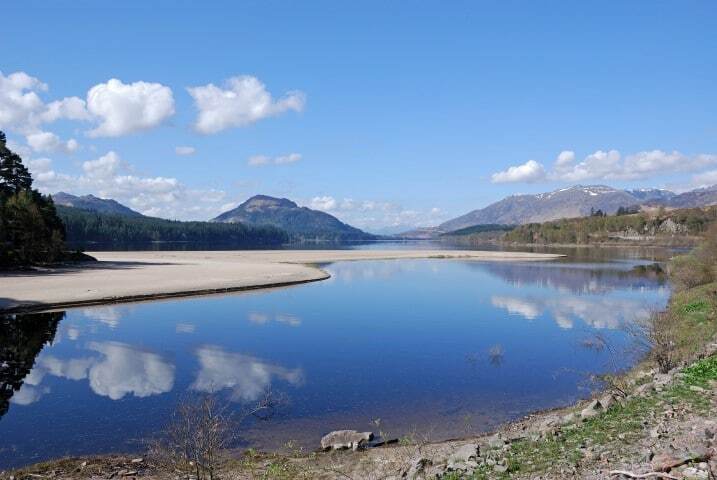 Everywhere you look, the loch offers a picture postcard view. Watch out particularly for photo opportunities for dolphins and golden eagles as they soar upwards towards Ben Nevis in the distance. 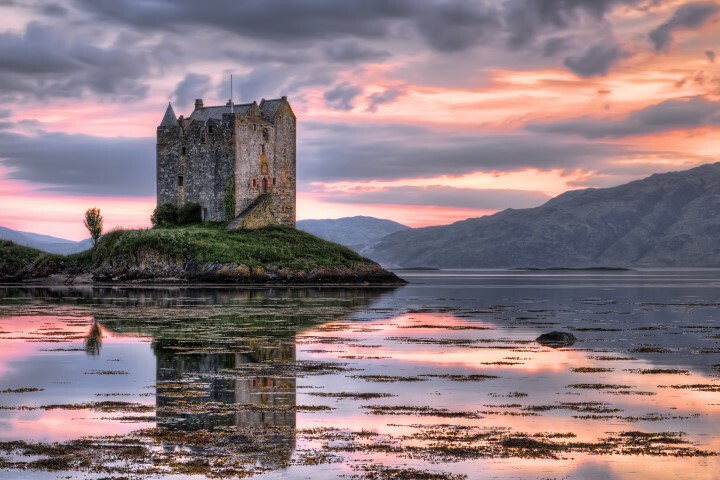 Literally translated as ‘Castle of the Hunter’, Castle Stalker sits on a small rocky island called the Rock of the Cormorants which is also the battle cry of the Stewart clan of Appin. With a turbulent history of murders through the ages, illegitimacy, and lost ownership through drunken gambling and garrisoning troops during the 1745 Jacobite Rising, this iconic castle is one of the most photographed locations in Scotland. One of the Slate Islands, Shuna is simply bustling with wildlife. This island supports red, fallow and roe deer as well as otters, seals and dolphins and many more, all thanks to its tranquil and isolated location. Exceptionally for the local islands, Shuna is quite forested, which gives home to many birds including the Nightjar – an elusive and nocturnal bird. Make sure to listen out for the male’s charring song, rising and falling in the night air. The shores of Shuna are a mix of rocky slopes and small beaches in sheltered bays and dotted around are the burial mounds that are all that remains of the islands Stone Age inhabitants. Shuna Castle is a splendid no expense spared romantic piece of architecture built in 1911 by adventurer and philanthropist George Alexander MacLean Buckley, though very sadly, it was abandoned in the 1980’s. 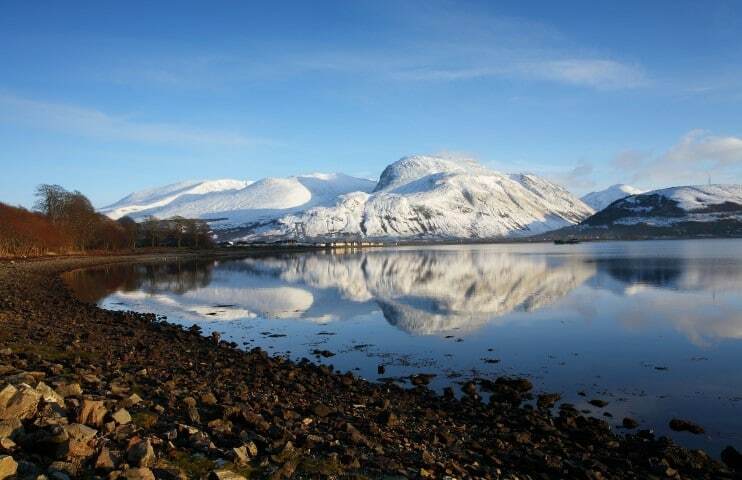 Loch Leven, the burial place of the clan MacDonald of Glencoe. It is truly magnificent and has nine small islands creating a colourful mix of heather and grass and the attractive village of Glencoe which comfortably lies on its southern shore. Eilean Munde – where the MacDonald clan rests is just opposite the village. The distinctive Ballachulish Bridge crosses the narrows of Caolas Mhic Phàdraig, which have a fast tidal stream that can run up to seven knots. Most Scottish cottages have used the slate from Ballachulish. Glencoe I think conjures up everything we think of as Scottish. 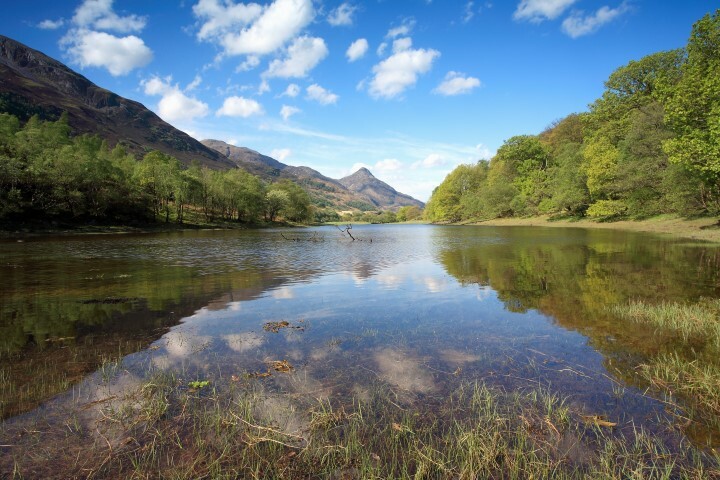 This narrow glen is home to some of the most majestic and breath-taking mountain scenery in the world. Each twist brings another gasp of amazement and a vista that is hard to forget. 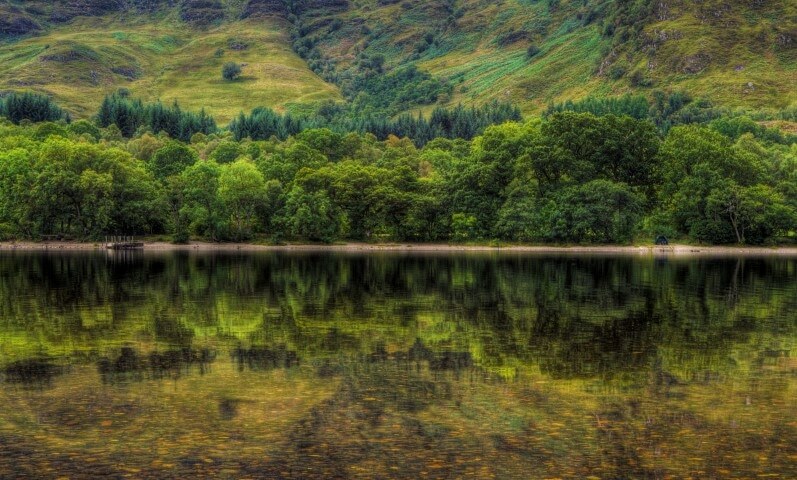 Historically, Glencoe is best known for the massacre of the MacDonald clan. On the 27th August 1691 King William offered all opposing Highland clans a pardon for their part in the Jacobite rising – if they agreed to pledge allegiance to him before a magistrate by New Year’s Day. Having set out in good time, Alasdair MacIain, the Clan Chief of Glencoe, arrived at Fort William on 31 December to take the oath only to be told that he would now have to travel some 70 miles to the sheriff at Inveraray. After setting out on his long journey during these winter months MacIain finally took the oath on 6 January 1692. He was given assurances that his allegiance would be accepted and that he and his people – the McDonalds of Glencoe – would be safe. Meanwhile, John Dalrymple, Master of Stair and the Secretary of State was hoping for an excuse to make an example of one of the Highland Clans. When he heard that Alasdair MacIain had not sworn allegiance by the designated date he was delighted: “My Lord Argyle tells me that Glencoe has not taken the oath, at which I rejoice. It is a great work of charity to be exact in the rooting out of that damnable sect, the worst in all the Highlands”. So on 2 February 120 troops arrived at Glencoe under the command of Captain Robert Campbell of Glen Lyon who was himself related in marriage to the Clansman. They were given hospitality by the MacDonald’s of Glencoe as was customary in the Highlands. For the next ten days and nights the troops were given food, drink and lodgings. On 12 February Glen Lyon received written orders from his superior, Major Duncanson: “You are hereby ordered to fall upon the rebels, the McDonalds of Glencoe, and put all to the sword under seventy. You are to have a special care that the old Fox and his sons do upon no account escape your hands, you are to secure all the avenues that no man escape”. At 5am on the morning of 13 February 1692 the killing began. Alasdair MacIain of Glencoe was shot dead, his wife was dragged away from her fallen husband and stripped naked and died the next day. Houses were set alight. Captives were bound hand and foot before being slaughtered and many of the clan ran from their homes and fled into the mountains. In total, thirty-eight men, women and children were killed in the massacre. Many more died of exposure as they tried to escape across the mountains in the dead of winter. The visitor centre in Glencoe tells all about this bloody history and after learning the stories, the spectacular mountains and glens will seem to echo with distant cries for mercy. Corpach town and bay has always played a part in battles and in 1470 the Battle of Corpach saw Clan Cameron rout Clan MacLean. In WWI, the US Navy held a base here and WWII saw it as the engineering base for HMS St Christopher. Military buildings that still exist and are of particular note include the main torpedo stores (which still have some of the original internal fittings present) and a long Nissan hut which housed a small target shooting range, today is still a target range. 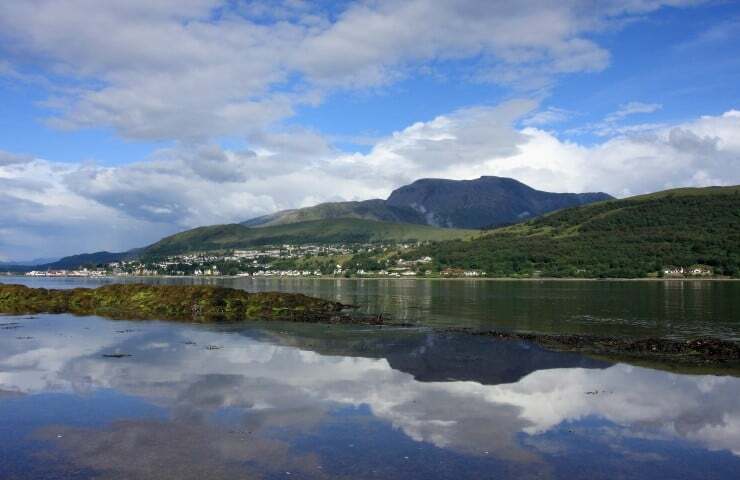 For more tranquil thoughts, it is the perfect location to sit on the beach and view the spectacular Ben Nevis in the distance reflected like crystal in the waters ahead. Nestling in the shadow of Ben Nevis – Scotland’s highest mountain, Fort William is the site of the two famous Battles of Inverlochy in 1431 and 1645. Today, you can visit the battlefield and stand under the unforgiving terrain of Ben Nevis and hear the distant echoes of the Clan war cries in the air. The highest Mountain in the British Isles and standing at 1,346 metres, Ben Nevis has around 100,000 ascents every year. Many flock to it in order to come down by bike, walk, run and even ski. 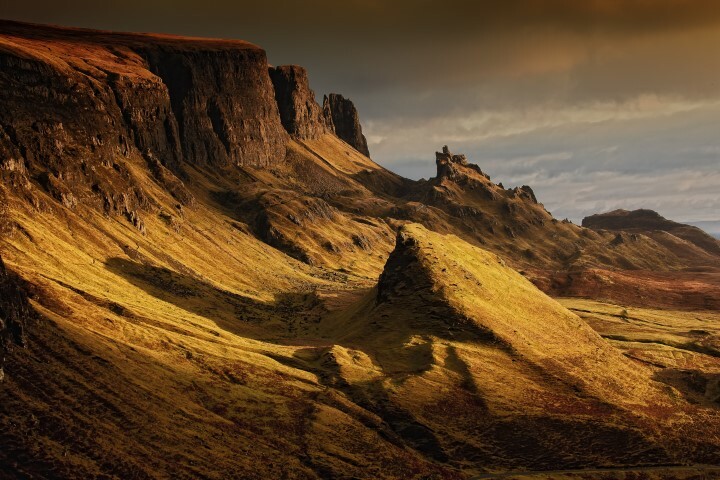 The entire town is surrounded by picturesque mountains and is often the location of movie sets – most notably Braveheart, Highlander, the Harry Potter series and some of the scenes from Monarch of the Glen. 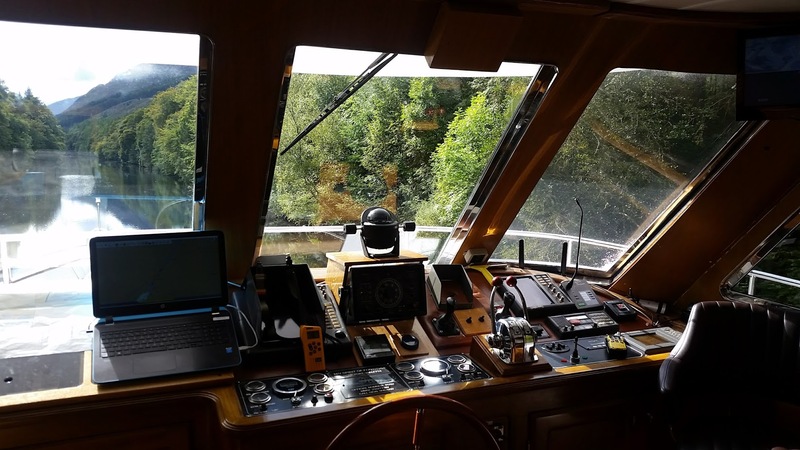 Conceived in 1773 the Caledonian Canal took nearly 50 years to build and was completed in 1822 after being designed by the famous Scottish engineer Thomas Telford. 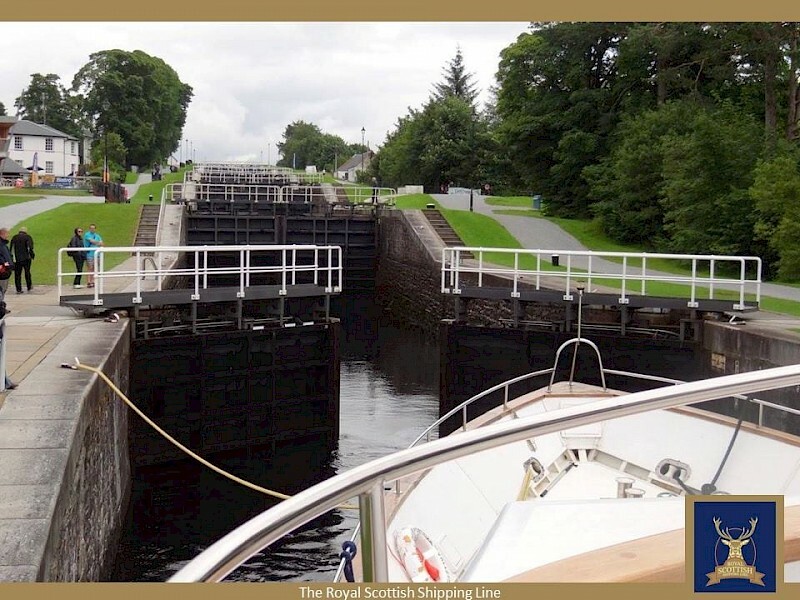 With its distinctive “Neptune’s Steps”, the canal connects Inverness on the east coast with Fort William on the west coast across 60 miles of stunning scenery including the Great Glen and Loch Ness – it is considered one of the greatest waterways in the world with 29 locks, 4 aqueducts and 10 bridges, an absolute feat of human engineering. This is amazing to see and even more amazing to be on and experience with so much to see and explore in and around the canal. Little children look on in the hope that they can one day be part of the canal. As a child myself, I used to look on as yachts and cruises made their journeys and would wish with my friends to become a part of the canals story. You will not forget this experience. 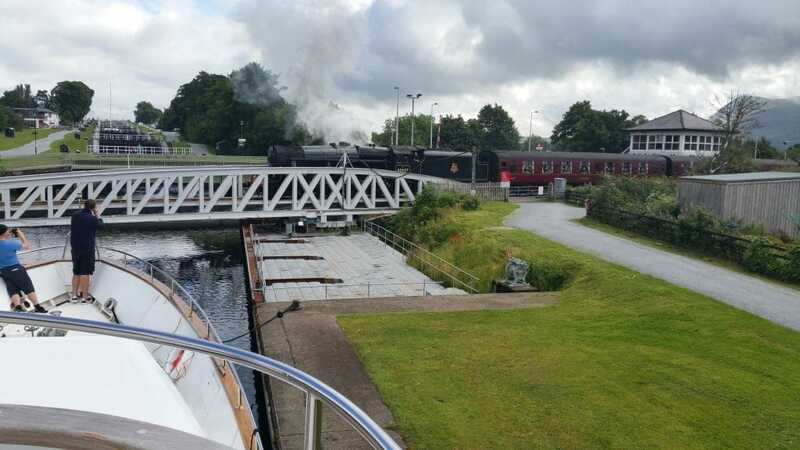 Despite its deceptively simple engineering, you cannot help but be utterly impressed by this design, as you traverse this ladder of eight locks. 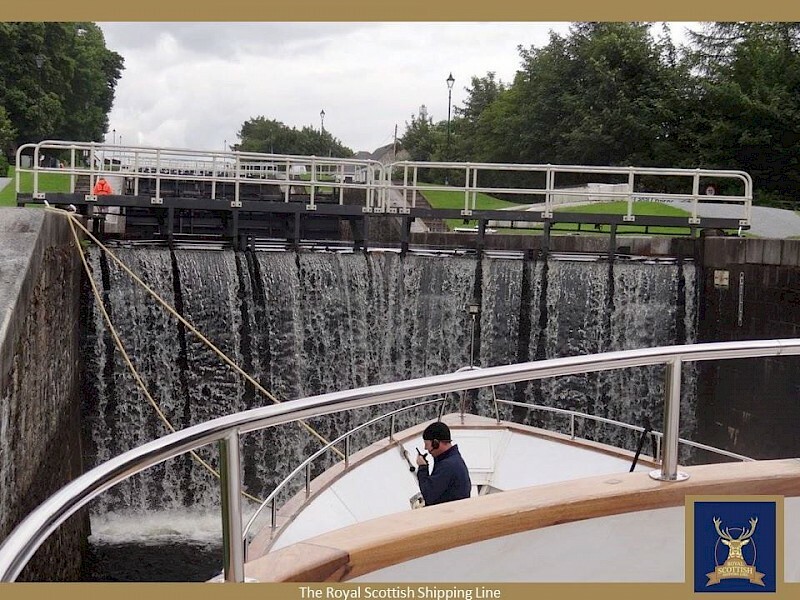 Conceived and built in the early 1800’s by Thomas Telford, the locks enable vessels to climb to a height of 70 feet above sea level over a distance of just 500 yards. Imagine that in those days! It takes around 90 minutes to travel and if watching the mechanics of this journey does not inspire you, then the impressive views of the dark side of Ben Nevis should captivate you throughout the ascent. Many will aspire to repeat this trip one day. This is my single best part of any of the canals that I have travelled on throughout the world. 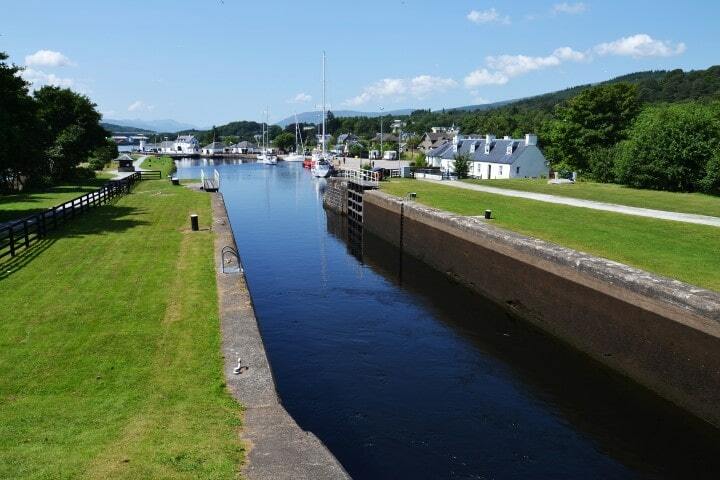 Part of the Great Glen, this narrow lock was where the Battle of the Shirts was fought in 1544 and also where the stand-off at the Fords if Arkaig ended a 360-year long feud between Clan Donald and Clan Fraser in 1665 – we Scots have long memories! Along the serene banks of the loch and sheltered by tall trees, look out for the River Horse – a faerie being also known as the Lord of the Lake or the Water King who was known to overturn boats. Laggan locks, two locks connecting the Laggan Avenue, a midway point on the Caledonian Canal between Loch Lochy and Loch Oich a splendid part of the canal which enjoys tall trees. Thomas Telford artificially raised the level of the loch by many feet to ensure that the loch could become part of Caledonian Canal. 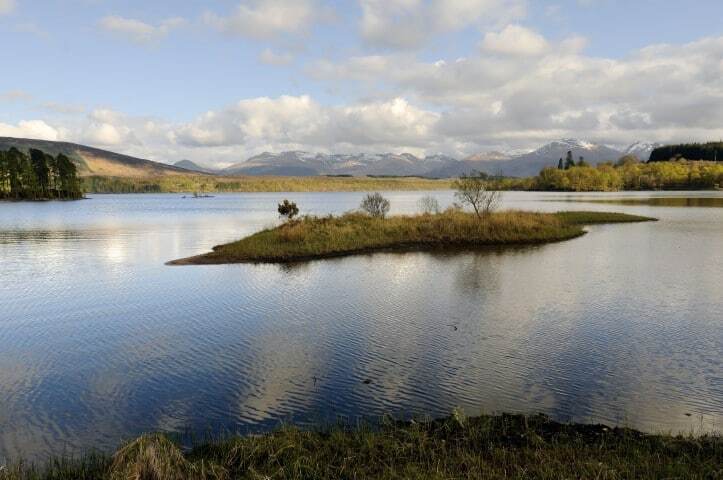 This loch is rich with a wide variety of fish, amphibians, reptiles, birds and mammals. Each autumn the Atlantic salmon migrates from the sea using Loch Oich, Loch Lochy and Loch Ness as their spawning nests. 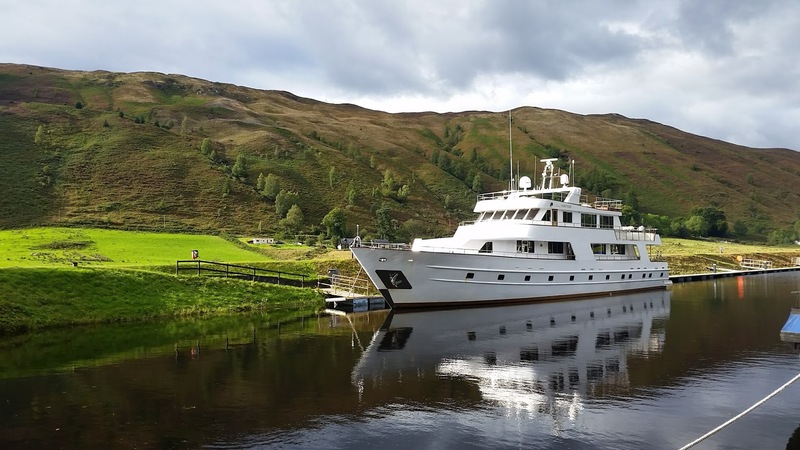 Fort Augustus, resting halfway along the Caledonian Canal, offers spectacular views along Loch Ness. Full of things to see and do with the canal running through it, there is always plenty to take the eye here. A favourite place to visit is the monumental Benedictine Abbey which was built in 1876. This quaint town is also home to the Clansmen Centre, where costumed guards demonstrate 17th century clan weaponry. You can take a tour around the village and spot the many interpretations of Nessie in the sculptures dotted throughout the paths. Originally named after St Cummein, the town was renamed after the defeat of the Jacobite uprising in 1715. 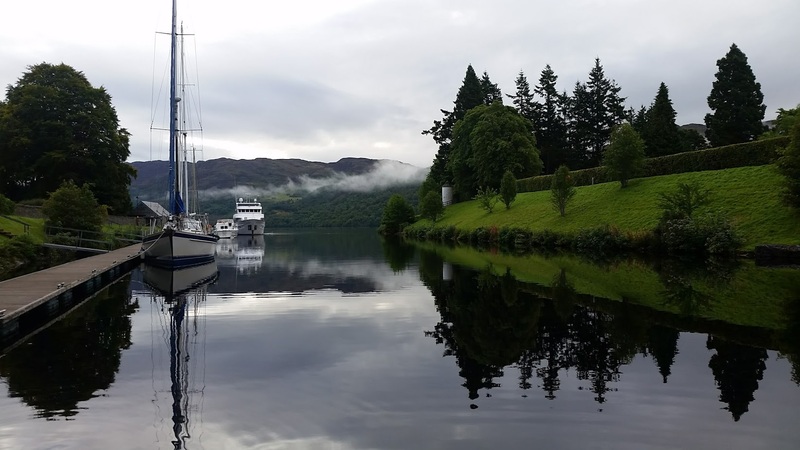 Deeper than the North Sea, said never to freeze and containing more fresh water than all the lakes combined in England and Wales, Loch Ness is believed to be the home of “Nessie” The Scottish Loch Ness monster and Scotland’s greatest legend. Since the 6th Century this elusive monster is said to have lurked in the waters depths. One of St Columba’s monks was startled whilst swimming as the monster appeared and rushed at him, roaring in a most frightening way! Columba, strong in his faith that God would protect the man, cried out to the monster,” Go no further, nor touch the man! Go back!” Surprisingly the monster is said to have fled and the legend was born! 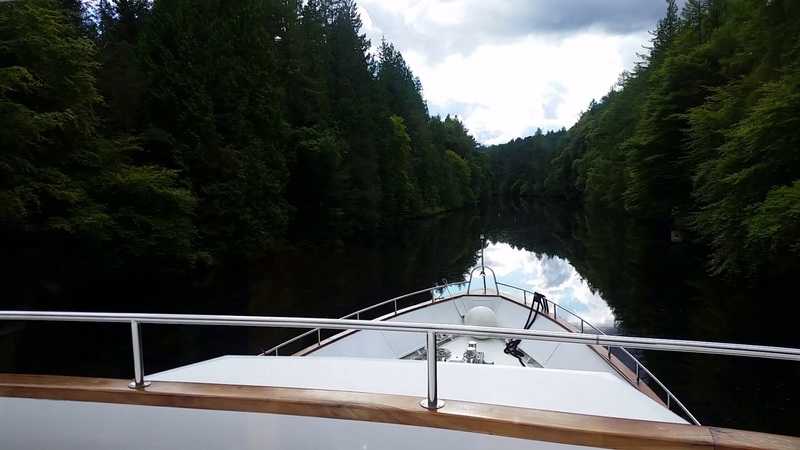 Since then sightings have been few and far between, but every year visitors take to the water to try and entice the camera shy Nessie to the surface. Should you prefer to see less shy wildlife, then golden eagles soar around the loch as do merlin and kites, whilst at the lochs edge, seals bask in the sunshine and frolic at the rocky shores. The rich feeding grounds of the loch enable the bottlenose dolphins to grow to incredible sizes here. 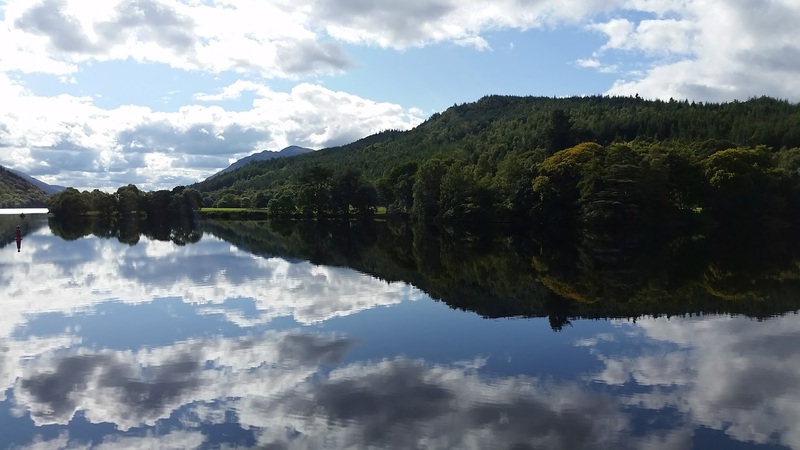 Near Fort Augustus, an Iron Age crannog or small island seems to float on the surface of the loch with majestic trees reflecting in the still waters. Urquhart Castle sits perched on a hill at the side of the Loch and is quite spectacular! 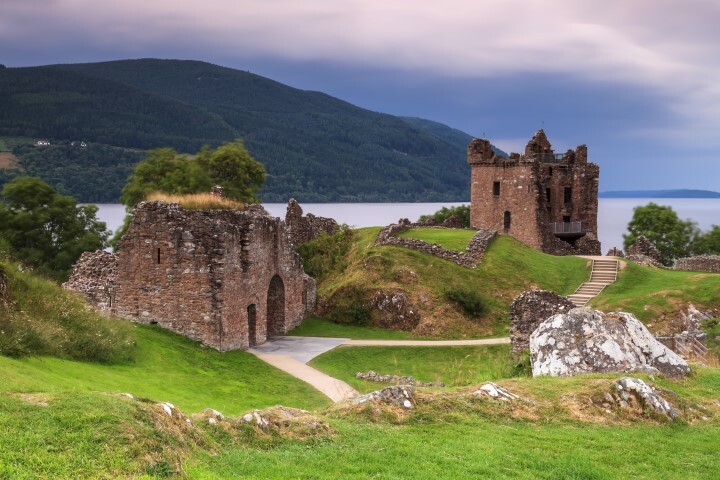 This castle sits on the most prominent spot on the banks of Loch Ness, Urquhart Castle despite its ruinous state remains an impressive stronghold. Very popular with tourists for its Visitor Centre and location, the battlements are like stepping back in history as echoes of the castle’s past wash over you as you look up and down the stunning views of the world’s most famous loch. 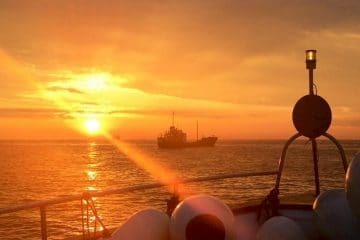 Here we will drop anchor in the shadow of the castle. Lying at the head of Urquhart Bay on the northern shore of Loch Ness, the village of Drumnadrochit is quite a sweet, charming, yet very busy little village famed as the home of the Loch Ness Monster. Here you will find the very popular Loch Ness Centre whose five-star exhibition is even endorsed by Scottish Natural Heritage as a ‘portal to the unique phenomenon that is Loch Ness’ delivering some unexpected light upon the mystery itself. 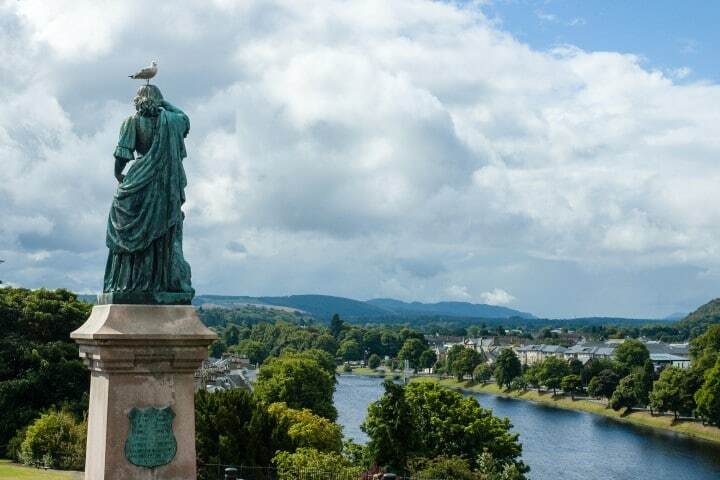 Inverness, capital to the highlands with the River Ness and its attractive bridges, Eden Court theatre and the Inverness Castle sitting proudly on its banks. It is a bustling city with plenty of shopping. The museum is incredible, as is the art gallery which is not too far from Inverness Castle. 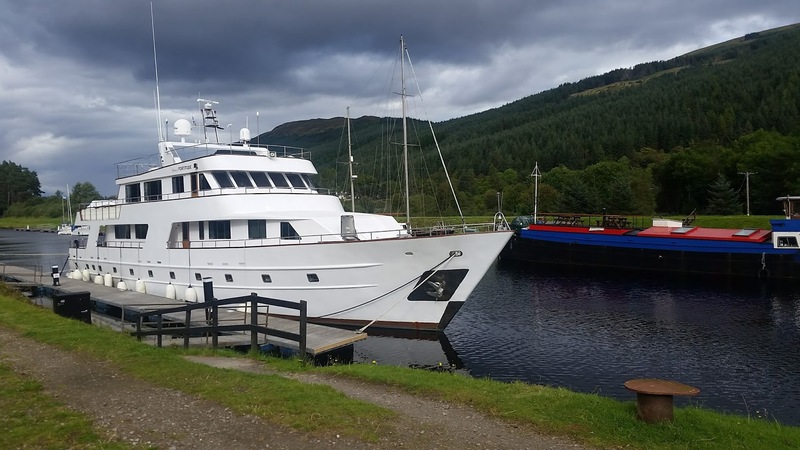 Inverness is home to plenty of exceptional dining establishments and also has its own airport meaning that your departure from the boat can be easily arranged.